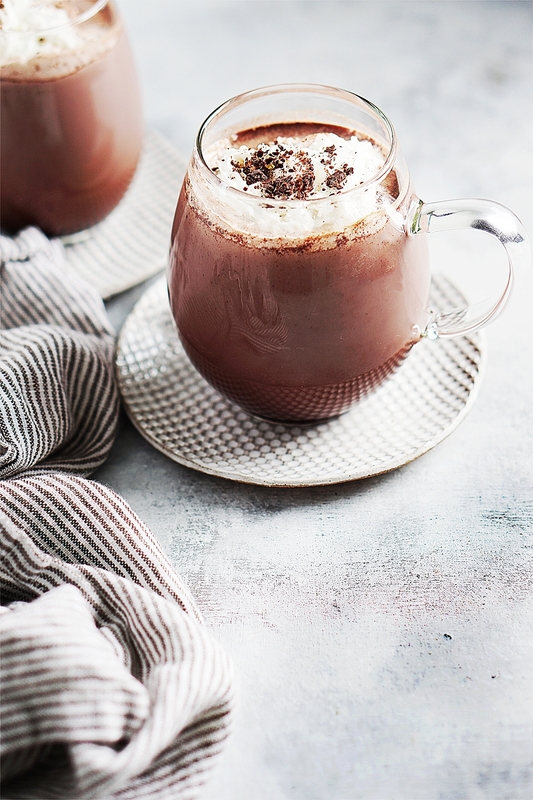 This Mexican Hot Chocolate is creamy, has a hint of cinnamon and nutty flavors, just the right amount of sweetness, and is so delicious! Speaking of sweetness, the folks at Truvia® & Upworthy have several fantastic articles about kindness & also have a super fun quiz to find out about what kind of “sweetness” you are. My quiz results at Upworthy showed that I’m “Graciously Sweet”!! I was pleasantly surprised as this description fits me perfectly! Have you been dubbed the “mom” or “dad” of your friend group? If so, that’s not surprising, because you have a tendency to be a nurturer, meaning you love doing kind things for others, especially if it can also be a teachable moment for them. So for example, you might organize a kickball game for your colleagues or friends, and use the opportunity to tell them about this nonprofit you volunteer with in hopes they’ll give time or money to it as well. Just like how parents try to encourage altruistic behavior in their kids, so to do you, but with everyone you know. And it’s kind of the best habit you could have. After all, altruism is contagious, so if you’re helping it catch on, slowly but surely you’re making the world a kinder place to live. Graciously sweet could describe this hot chocolate as well! We used to make it in Mexico the minute it started to get cool. 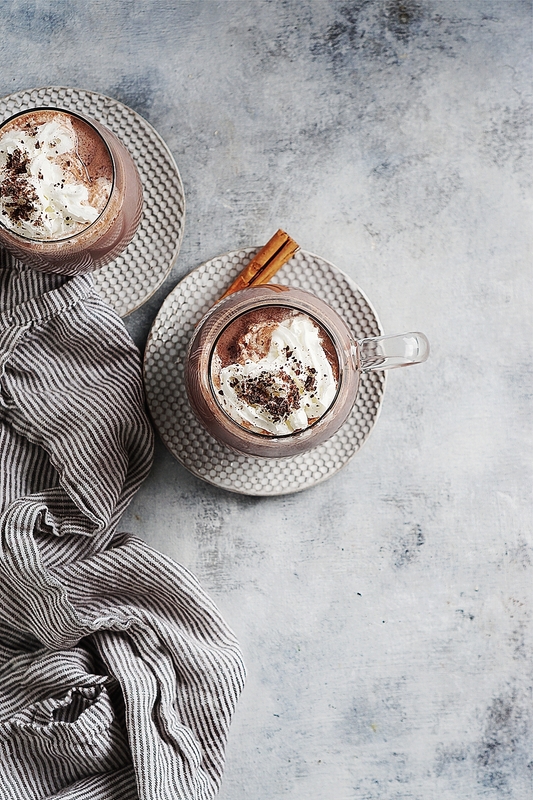 We love to add layers of flavors in our recipes – there are many Mexican Hot Chocolate recipes out there so experiment with some of these ingredients until you find your desired mix of flavors and sweetness. 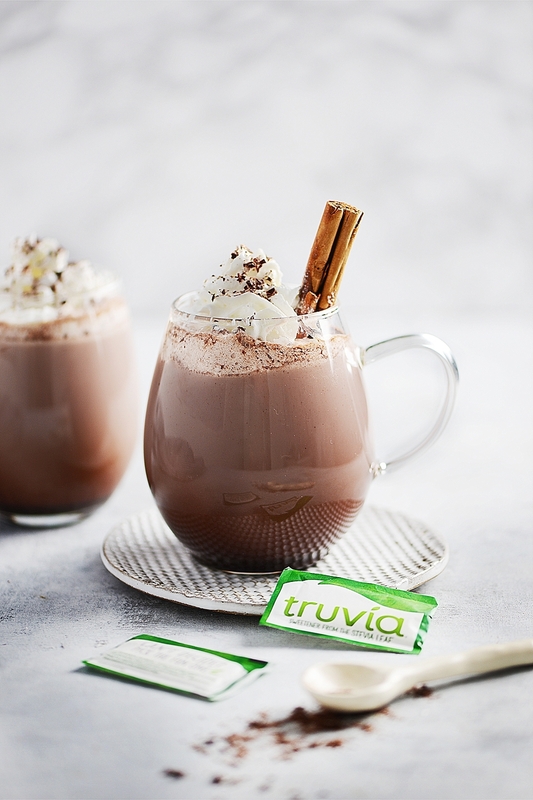 I used Truvia Natural Sweetener for this recipe. Have you seen their new packets? They have different positive messages that are better than opening a fortune cookie! We need more positive messages these days. Don’t you agree? Mental & emotional health is equally important to me as is physical health. I always strive for balance! During tough times in your life or when your surroundings & news are full of negativity, it’s time to step back and remind yourself that things are not as bad as they seem. I’m the mug of hot chocolate is half full kind of girl! Thanks to Truvia for sponsoring this post! All opinions are my own. In a medium saucepan, add the dry ingredients and mix well. Add the milk and vanilla extract. Bring mixture to a simmer over medium heat. Whisking continuously to prevent it from burning at the bottom of the saucepan and to avoid almond powder chunks from being formed. Cook until the desired it reaches the desired consistency. About 5 minutes. 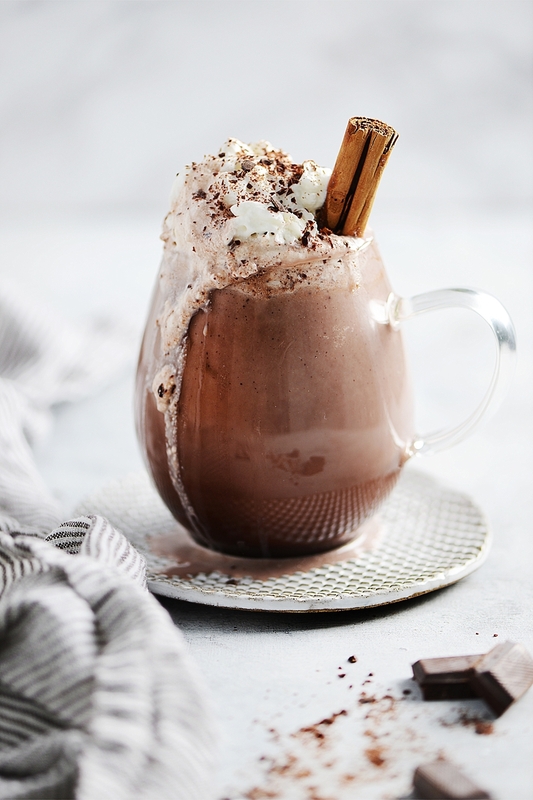 Divide hot chocolate among mugs and top with whipped cream and dust with cocoa powder. You can find almond powder in grocery stores or you can make your own with a food processor. The walnut powder can be made with this method as well.